Easter is one of my favorite times of year. I love spring and all that comes with it and I love celebrating the resurrection of our Savior. Today I want to share a beautiful children's book with you that is all about Easter; The Legend of the Easter Robin. In The Legend of the Easter Robin, Tressa's grandmother tells her a story of a robin who saw Jesus at the time of the crucifixion and soared in to help Him. Your children will love the beautiful reminder of Jesus sacrifice for us as they enjoy the story of Tressa and the lovely illustrations. 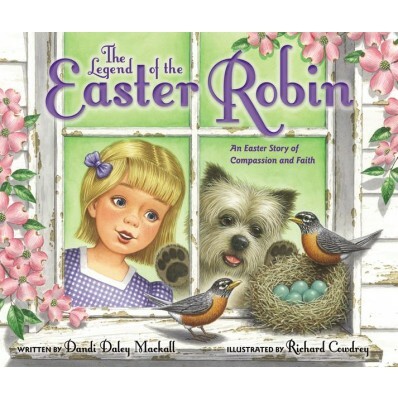 Check out The Legend of the Easter Robin this Easter and share the story of the robin with your precious children. To enter to win a copy, please complete each task in the rafflecopter below. Nice weather and flowers and trees coming back to life are my favorite things about spring! !